Is premature gray hair cramping your style? You are not alone, curly. Irrespective of curl pattern or texture types, premature graying can happen to any one of us in the blink of an eye. 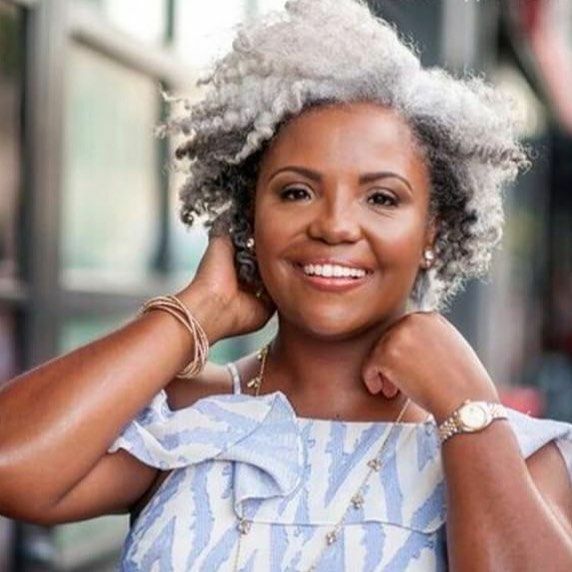 Some women have been sprouting gray hair since they were in their teens, while others are just now seeing platinum streaks in their mid-20s, late 30s, and early 40s. If you are experiencing this type of pigment loss, please take note of the following list below so that you can be 100% equipped with tools to manage (and EMBRACE) those delicate silver ringlets, waves, and coils. This phenomenon indicates that your hair strands are losing pigment. Don't be alarmed; this happens to many of us due to DNA. If you are experiencing medical or health-related issues in conjunction with the appearance of premature grays, you must consult with a physician. An underlying issue may be the culprit. 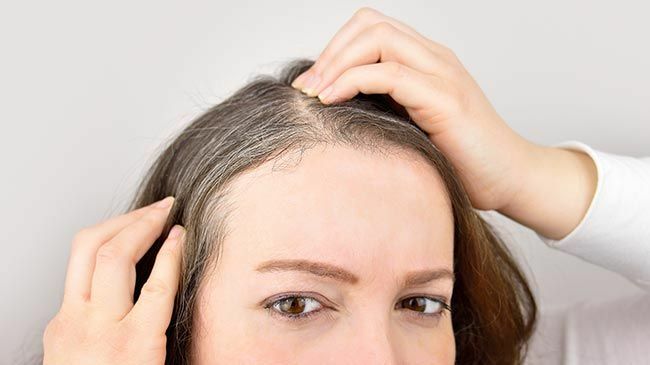 Why premature gray hair happens. Premature gray hair is not necessarily caused by assumed factors such as stress or an intense job such as President of the United States. It's truly a matter of genetic factors. You can help stave off premature graying hair by maintaining a healthy diet, refraining from smoking cigarettes, and visiting your physician for regular checkups a.k.a. take care of yourself! What can be done about it… well, sadly not much. I will be so bold and say that premature graying cannot be reversed (unless you have a Vitamin B12 deficiency, thyroid issues, etc.). With this in mind, it is important that you continue taking deliberate steps to maintain your curly hair health with products designed to keep hair moisturized and free from breakage. I recommend deep treatments like Eprouvage Reparative Treatment Masque and limiting the use of heat styling tools. Embrace the gray! Have you heard of Grombre, yet? It is a hair color trend that swept through the curly and straight hair communities alike a few seasons ago, and it is not showing any signs of stopping. 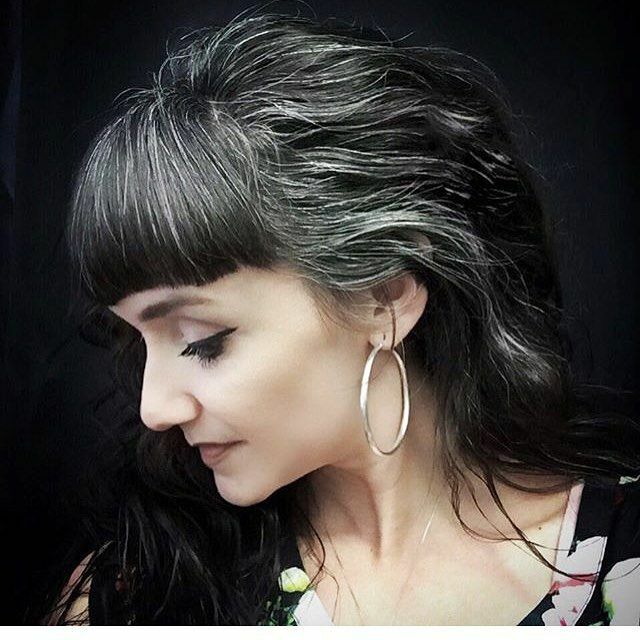 Although we may have a certain silver-haired dragon mama to thank for a role in this trend, I would like to say that all the women that have embraced their gray and displayed them with pride could help give you #graygoals. The beautiful images below were retrieved from @Grombre, your #inspo for going all the way gray! I've been told by many women that dying gray hair can be downright nightmarish, to say the least. 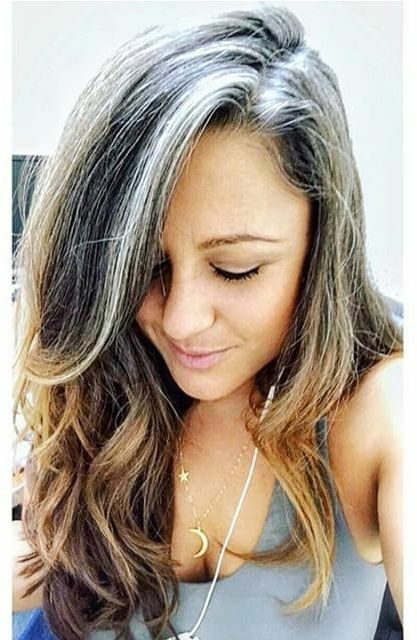 That is why I recommend consulting with a professional hair colorist to help you either cover those grays for your desired color or to help your curls ease into the graying process by lightening your hair for a natural, uniquely YOU look. You know I'm not going to leave you without a video to help you navigate this. And since I am not a hair colorist, I think that it is important for you to hear from a professional who can give you some insight! So... how will you rock those grays? Tell me in the comments below! Also, feel free to share your favorite hair colorists, stylists, and #graygoals influencers with your fellow curlies!